Land based C4ISR systems hold the highest market share among all the C4ISR platforms and will continue to do so in the forecast period 2018 - 2023. Missile Defence C4ISR will see incremental spending in the State of South Korea as the threat across the border keeps on escalating as the years go by. South Korea in order to nullify North Korea is bolstering its surveillance and reconnaissance. This is one of the main reasons why the Intelligence Surveillance and Reconnaissance systems will see a high CAGR of over 4% until 2023 and reach a size of over a billion dollars in the country. Most of the spending is expected to go into developing systems for the Unmanned Aerial Vehicles. The South Korea C4ISR Market will account to more than USD 4 billion by 2023. This market was estimated to be worth USD 1.8 billion in 2016. Korea Aerospace Industries is one of the leading players in the C4ISR Market of South Korea and will lead the development of the C-UAV, which will be operational by the year 2030. South Korea is also leading the efforts to create unmanned scientific Border surveillance systems to protect against North Korea and this is contributing smartly to the C4ISR Market. 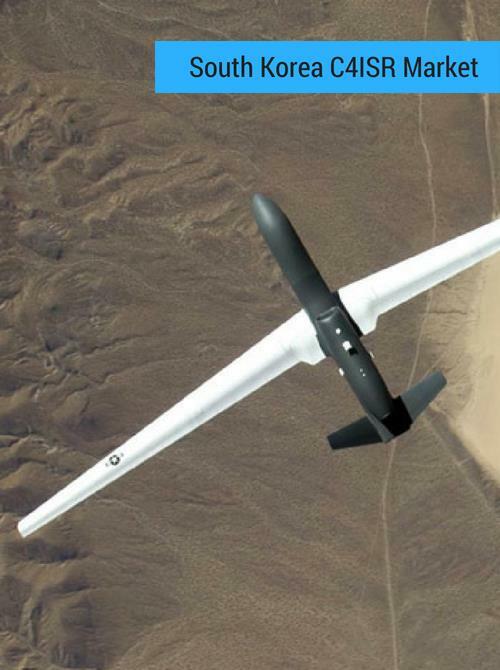 May 2018: Kratos received permission to sell its MAKO wingman UAS, to European and Asian allies that includes South Korea. January 2018: SAAB has received a contract to jointly develop a AESA fighter aircraft radar for south korean experimental fighter aircraft. Key Players: Thales, Northrop Grumman, L3 communications and Raytheon are some of the important players in the South Korea C4ISR market.